we welcomed Rev Paul Howes. God is Love: let heaven adore him. Great God, your love has called us here. Luke chapter 4 verses 20-30. 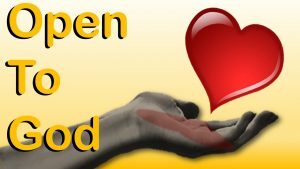 The sermon was about how we all need to be Open To God, and can be heard here. The United Evening Service was led by our Worship Leaders, and it took the form of Cafe Church which included tea/coffee and cake. Be still, for the presence of the Lord. Mary and Joseph came to the Temple. Luke chapter 2 verses 21-38. We looked at Candlemas which is celebrated on 2nd February. We heard about Simeon and Anna, and the child Jesus being presented in the Temple. We also had time to discuss our hopes – for ourselves, our churches, and our Town, and to consider what we might do to achieve these hopes.